There are a number of things that can go wrong when a person suffers from poorly fitting crowns, and this can lead to compensation being recovered for pain caused and the further dental treatment that is required as a result. WHAT IS A CROWN AND WHEN MIGHT IT BE REQUIRED? Dental crowns are generally used on broken teeth to repair them, often after root canal treatment, to strengthen an underlying tooth, following the fitting of a dental implant or to physically enhance the appearance of a tooth. A crown is a covering which sits over the tooth or implant so the tooth can become functional again, strengthening the tooth which may have become weak or brittle due to decay or previous fillings for example. The natural tooth that is being covered with the crown can often require filing down in order to make the crown fit properly and some crowns require posts to be inserted into the tooth/gum first. Crowns should, according to our dental experts, last for 10-15 years, but they could last considerably longer than that. How long a crown lasts will depend on a number of factors, including but not limited to the health of the tooth, how well the crowns are cared for, and whether they have been fitted properly by the dentist in the first place. In our experience, the dentistry behind the fitting of a crown is a huge contributing factor to the lifespan of a crown. 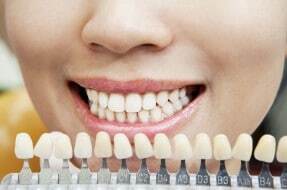 Fitting a crown or bridge falls under Restorative Dentistry and a dentist should have the relevant experience to carry out such treatment. If he/she does not, and a person suffers from having a poorly fitting crown, that may be negligent and give rise to a claim. WHAT PROBLEMS COULD YOU EXPERIENCE FROM POORLY FITTING CROWNS? There are valid reasons as to why crowns can fail on occasions, i.e. they fall out or become uncomfortable. However, there are reasons when this might occur as a result of dental negligence. Before fitting a crown a dentist should remove any decay present in the tooth, x-ray the area to ensure a crown is suitable and ensure there is no existing infection/gum disease that may require treatment first. Whilst fitting a crown a dentist should make sure that there is no gap between the crown and the gum-line (although one could appear over a period of years as gums shrink) and ensure all visible cement is removed from the surface of the crown/gum. Sometimes crowns can fall out if there is not enough tooth structure to hold the crown in place. This can happen if the tooth was already very weak or small. If a dentist files down a tooth too much when fitting a crown so that there is not enough tooth structure for the crown to fix on to, this may cause the crown to fall out prematurely and this may be negligent treatment on the part of the dentist. When crowns require a post to be inserted into the root first, suitable x-rays should be taken to ensure the post is fitted properly. If the root is perforated by the post, this could cause enduring pain and infections. Ultimately, if a root is perforated at this stage the tooth is unlikely to survive and it is likely the tooth will require extraction at that point. It is not always the best solution to fit crowns where other dental problems exist. We have experience of dealing with cases where other dental treatment was required first before it was appropriate to fit crowns, and accordingly this impacted upon the life of the crowns and the extensive dental treatment required in the future. We also have experience of dealing with cases where dentists have perforated roots of teeth when fitting crowns, causing the loss of the tooth and the need for implant surgery. This is not to say that all problems associated with crown placement arise out of negligent dental treatment, but given that the purpose of such dental work is usually to improve the appearance of the teeth, if the outcome is cosmetically unpleasant, there may be a claim. If you are worried about poorly fitting crowns, give one of our specialist team a call to chat through your concerns and whether or not you may have a claim for dental negligence. Soreness increasing after crown cemented 17 days ago in New Orleans, LA. Crown lasted 2 years, now I need oral surgery, due to poorly fitting crown. Expensive crown lasted 2 years, now I need oral surgery, due to poorly fitting crown.